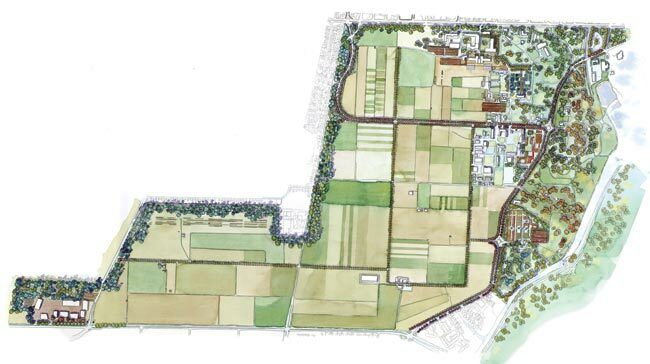 Featured Project: Central Experimental Farm Management Plan | Contentworks Inc.
Photo: Image: CEF Management Plan, integrated view of the site (buildings and landscape elements). The Central Experimental Farm in Ottawa is an exceptional example of landscape developed in the 19th-century that demonstrates the vitality of Canadian science from the late Victorian period onward. Created in 1886, it was explicitly designed to serve as the showpiece for Canada’s scientific and agricultural ambitions within the empire and within North America. The Management Plan was developed as a long-term framework for managing the Central Experimental Farm as both a National Historic Site and an active research landscape. Contentworks, with Julie Harris as the prime consultant, provided historical research services, managed consultations, collaborated in the development of options, and wrote many sections of the final report. The management plan required careful consideration of the designed components of the landscape, such as formal gardens, the arboretum and scientific plantings, as well as the evolved landscape resulting from numerous changes in the size and configuration of the property. The core team – architect, landscape architect, planner and historian – worked with a traffic engineer and environmental specialist.